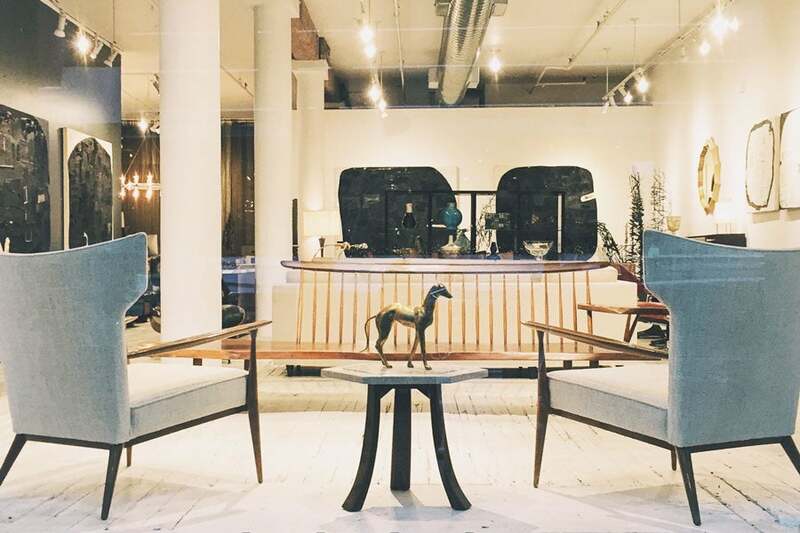 Lawrence Converso's concentration in and respect for Mid-Century American design has earned him premiere dealer status over the past two decades. 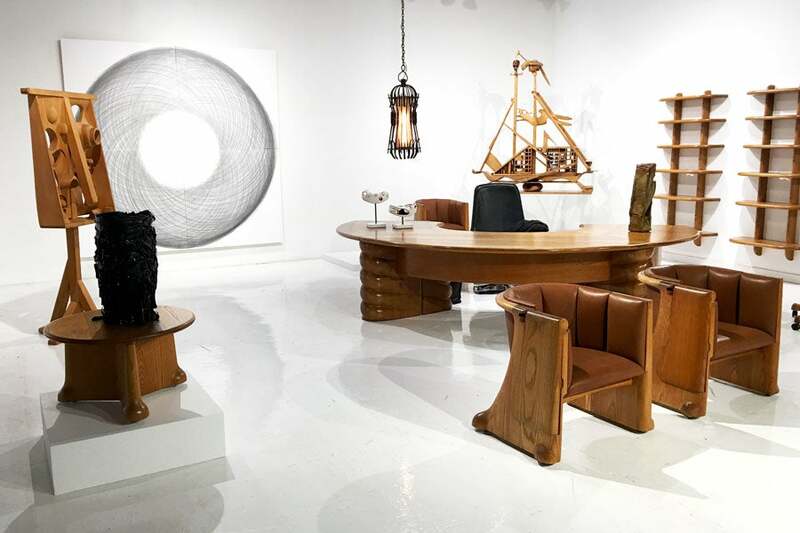 With a solid Chicago based operation and a thriving NYC showroom CONVERSO sells to designers and collectors, worldwide. Pair of oiled walnut 3-legged stools with blue ultra suede seat cushions newly upholstered. Danish labels on underside. Jens Risom, Jens Risom Design Inc.
Rare set of Risom lounge chairs, oiled walnut frames with curved seats and backs new sculpted foam reupholstered with cotton and poly great plains fabric. Pair of Harvey Probber side tables. Two-toned tone rosewood and walnut lacquered wood finish with brass feet and pulls details. [Signed label Harvey Probber Modern]. Breuer lounge chairs model 313 examples are from a 1932 design, these are 1980s production, and are no longer available. Sling leather one piece seat and back with arm pads. Oversized chaise lounge chair for 1-2 users. Upholstered in faux fur with new foam and walnut plinth base. Beautiful beige "Planta" coat rack designed by Giancarlo Piretti for Anonima Castelli in 1972. Made from red ABS and features six folding hooks and two rings storing umbrellas. Rare model from the line of steel planters offered by Laverne International and designed by Estelle and Erwine Laverne.